These maps show projects yet to be built. They include projects that are a) fully entitled (green), partially entitled (yellow) and proposed by a landowner (red). 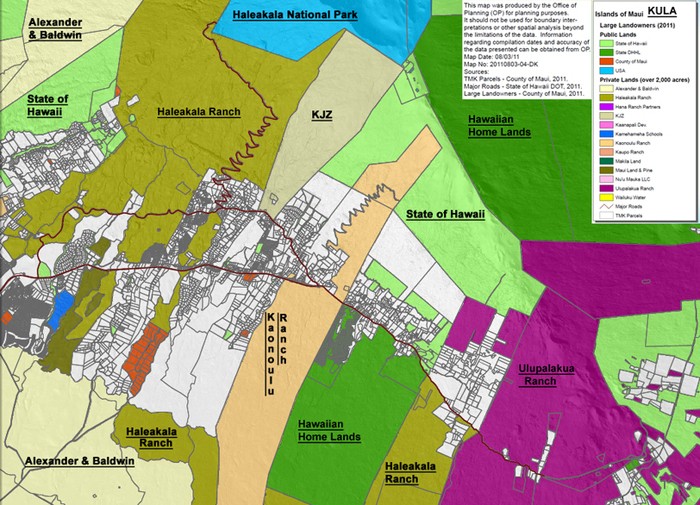 This map is for Kula, Makawao and Pukalani. 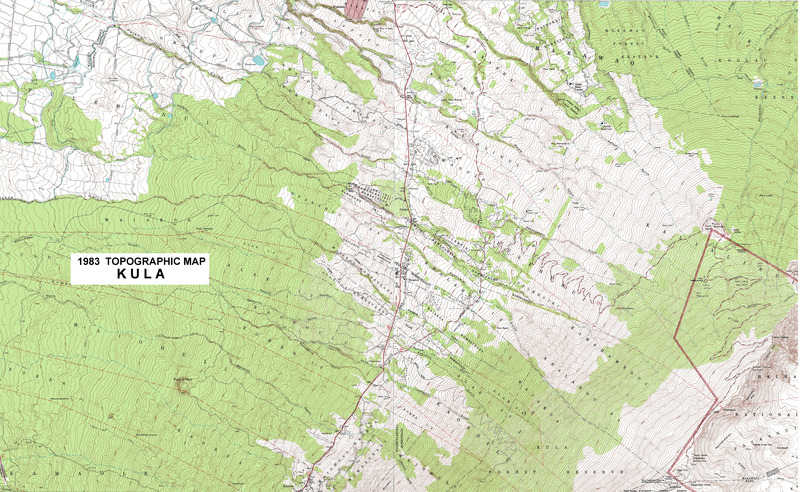 Note that amendments to the map since it's adoption in 1996 are not included on the website.